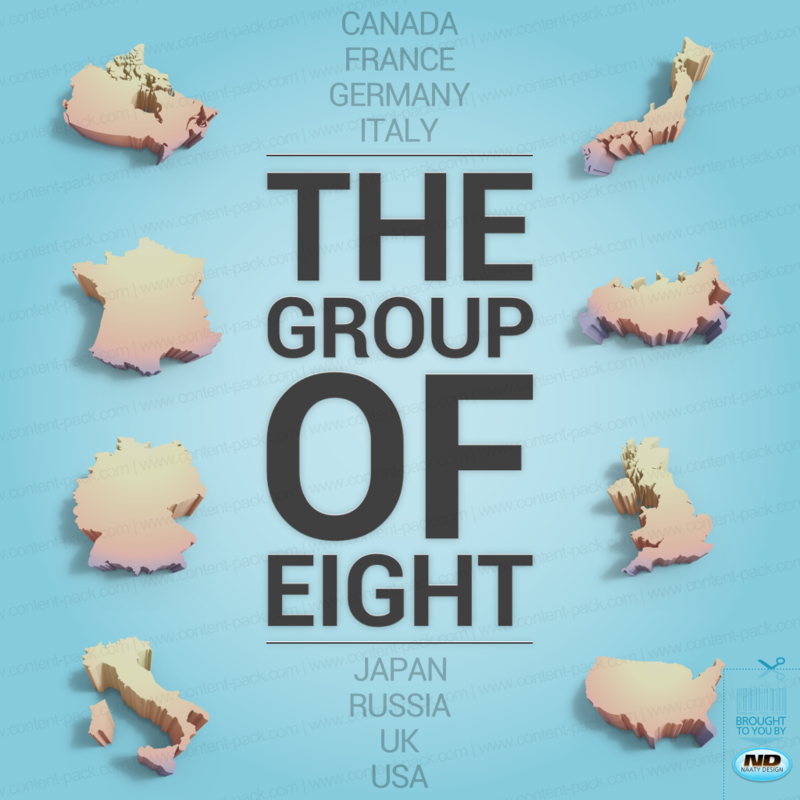 The Group of Eight (G8) is a forum for the governments of eight of the world’s largest economies. The eight members of the G8 are Canada, France, Germany, Italy, Japan, Russia, the United Kingdom and the United States of America. For more information, please read wikipedia. .zip archive contains 8 files in .png format.